Boating Accidents Can Cause Severe Injuries Leading to Costly Medical Treatment and Long-term Pain and Suffering. Our Boating Accident Attorney Can Meet With You Throughout Volusia and Flagler Counties, We Routinely Represent Boat Accident Victims in Claims for Financial Compensation. While most people aren’t thinking about the risk of boating accidents when they head out onto the water, thousands of people are injured in boating accidents every year. According to the United States Coast Guard (USCG) Office of Boating Safety, there are more than 8,500 boating accidents annually, with more than half of these accidents resulting in serious traumatic injuries. One in 10 boating accidents results in fatal injuries. Florida’s Atlantic coast provides endless boating opportunities for residents and out-of-towners. Unfortunately, our wealth of aquatic real estate also means that boating accidents are an all-too-common occurrence. Florida has led the nation in boating accidents in recent years, with the annual property damage costs alone exceeding $10 million. When you add in medical bills, loss of income, pain and suffering, and emotional trauma, the true cost of boating accidents is far more substantial. At Rue & Ziffra Law Offices, we have been representing victims of boating accidents in Volusia and Flagler Counties since 1976. We serve the following locations – Daytona Beach, Port Orange, Deltona, Flagler Beach, Edgewater, Ormond Beach, New Smyrna Beach, and Palm Coast – we have particular experience in cases involving accidents off of Florida’s Atlantic coast and in local navigable waters. Whether you were injured on your own boat or personal watercraft, on a rented vessel, on a charter, or on a cruise, we have experience, and we can help make sure you recover the financial compensation you deserve. Our attorneys have decades of experience representing clients in all types of boating accidents. Jet skis are the rental vehicle of choice for many Florida tourists, and many locals use personal watercraft regularly for recreational purposes. But, operating a jet ski safely requires skill, and operators who are being reckless or lack experience can quickly lose control. 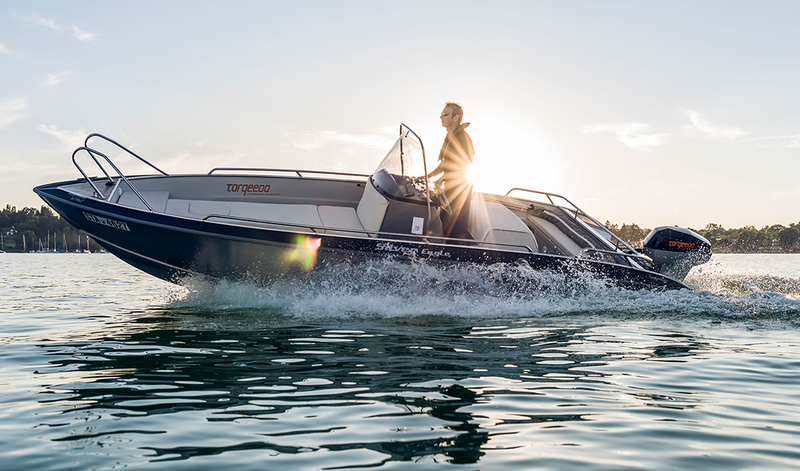 Due to their small size, personal watercraft will often be out of view for operators piloting larger boats. This is particularly true in crowded areas. When a larger vessel strikes a jet ski, the jet ski operator will often have a claim for financial compensation. Water skiing accidents are among the most common causes of boating-related injuries. If you were injured while water skiing, you may be entitled to financial compensation through the boat owner’s insurance company. Swimming and diving accidents are also common, and boaters who fail to keep a lookout, operate their boats too close to buoys and navigate into designated swimming and diving areas need to be held legally responsible. According to the USCG, capsizing accidents and falls overboard account for more than half of all boating-related fatalities. Near-drowning accidents can lead to life-altering medical conditions as well, and victims and their families will often face long (and expensive) roads to physical and emotional recovery. In addition to representing clients in accident cases involving private vessels, we also have a significant amount of experience dealing with cruise ship accidents. From accidents during excursions to slip-and-fall accidents on deck and falls overboard, if a cruise line is responsible for your injuries or your loved one’s death, we can help you and your family recover just compensation. Q: Are boat owners required to have liability insurance? No, although it is highly recommended, boat insurance is not mandatory in Florida. Unfortunately, this means that many boat operators are uninsured. If the boater who hit you is insured, we can seek to recover your accident-related losses from his or her insurance company. If not, we will need to explore other options for protecting your legal rights. Q: What are my options if I was hit by a boater who was uninsured? If the boater who hit you was uninsured, you still have a number of potential options for recovering the financial compensation you deserve. One option is to sue the boat owner directly. Maybe the boat owner’s insurance lapsed, or maybe the boat owner did not realize that he or she was uninsured. Another option is to file a claim against your own uninsured boater policy (if you have one). Due to the risk of being hit by an uninsured or underinsured boater, this insurance is a good idea. If you have it, we can deal with your insurance company to make sure you receive the maximum payout available under the terms of your policy. A third option is to file a claim against a third party. This could be the manufacturer of a defective boat or defective piece of safety equipment, or perhaps another boater involved in the accident. When we take your case, we will quickly launch a thorough investigation, and we will identify all potential sources of financial recovery. Q: What are “navigable waters,” and how can the location of my accident impact my claim for compensation? On navigable waters and the open ocean, different laws apply. Depending upon exactly where your accident occurred, federal statutes, general maritime and admiralty laws, and even international conventions or treaties may dictate your legal rights. At Rue & Ziffra Law Offices, we are intimately familiar with the unique jurisdictional issues involved in boating accident cases – so regardless of where your accident occurred, we can do what is necessary to protect you. Q: Can I still seek financial compensation if I signed a rental or liability waiver? Potentially, yes. While it is commonplace for rental and charter companies to have their customers sign waivers, some of these waivers are more effective than others. For example, an “Acknowledgment of Risk” is not the same thing as a “Waiver of Liability.” Likewise, waivers often are not written broadly enough to cover all circumstances or to prevent claims against all parties; and when they are written too broadly, they may be deemed legally unenforceable. Q: What are my rights if I was injured onboard a cruise ship? If you were injured onboard a cruise ship, sorting out the jurisdictional issues we mentioned above will be the first step toward assessing your legal rights. You should also look at your ticket and make sure you understand what you are legally obligated to do in order to pursue a claim for financial compensation. Q: What else do I need to know about protecting my legal rights? For more information about seeking financial compensation after a boating accident in Florida, please contact us to schedule a free, no-obligation consultation with one of our experienced attorneys. You can reach us 24/7 at (386) 788-7700, or send us your contact information online and we will be in touch as soon as possible.